Egyptian President Abdel Fattah al-Sisi offered nine recommendations at the conclusion of the Arab-African Youth Platform held in Aswan. The recommendations expressed the need for greater integration of and communication among African countries. During his speech at the closing of the forum, Sisi tasked the Prime Minister in coordination with the Ministry of Foreign Affairs and the Ministry of Education to make the Egyptian knowledge bank available for use by Arab and African researchers. He also recommended the establishment of a council for cooperation between Arab and African Universities. Sisi also announced the launch of an Egyptian initiative to eradicate Hepatitis C virus for one million Africans. Sisi also directed the forum’s management to prepare for the convening of the Egypt-Sudan Forum to promote integration between the two countries based on the principle of brotherhood in the Nile Valley. He continued: “Egypt will prepare a paper to be presented to the next Arab-African Summit. The paper will include proposals for the establishment of a joint Arab-African market and a financing market for the purpose of African communication about roads, railways, and electricity.” This is in addition to the establishment of an Arab-African counter-terrorism mechanism. 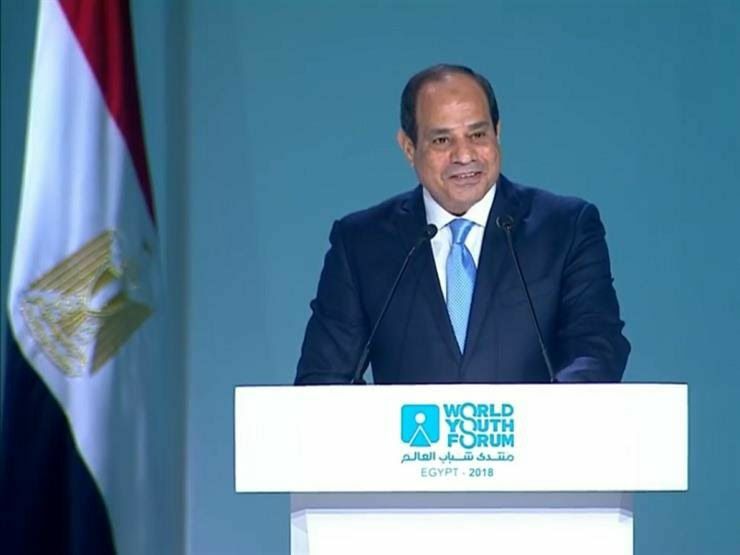 Sisi called for the use Arab-African media platforms to eliminate misconceptions about African-Arab relations and for the empowerment and preparation of youth and women via advancements in education. – Provide the Egyptian knowledge bank to Arab and African researchers. – Instruct the Cabinet to establish a council for cooperation between Arab and African Universities. – Launch an initiative to eradicate Hepatitis C virus for one million Africans. – Launch the 100 million healthy lives initiative to examine Egypt’s resident guests (not refugees). – Form a committee of Arab and African youth to spearhead opportunities for integration in all fields and submit them to officials. – Make a group that will develop a youth vision for dealing with extremism and eliminating terrorism. – Prepare for the forum between Egypt and Sudan to promote unity between the two countries. – Write an Egyptian work paper that ensures the establishment of a joint Arab-African market and communication between the countries of the continent. – Establish an Arab-African counter-terrorism mechanism.